SPONSORSHIP – or in this new age of marketing jargon, ‘partnerships’ – represents the life blood of professional Motor Sports. In Australia, the level of investment by major companies, particularly focused on Supercars, is arguably higher per capita than investments made by major European and USA based companies. But the road to identifying potential partners and then having the package to entice substantial marketing funding gets harder each year. As the season unfolds, team launches, new colours and announcements are the order of the day. At the very highest echelon of the sport, Formula 1 finds itself in a global cash crisis. That is of course for teams other than Mercedes F1, Scuderia Ferrari and Red Bull Racing. Thank god for energy drinks with four of the twenty entries running under the Red Bull banner. Stark examples of the crunch are the once dominant teams of McLaren and Williams. Almost a hand in hand fall down the pecking order of Formula 1 teams can be matched with the diminishing commercial partners shown on the cars, drivers and team liveries. Taking a helicopter view, it becomes clear quickly that on the international stage, large corporate support is proving difficult to attract. There’s lots of colour and many brands on a Supercars grid, a remarkable achievement given the demanding commercial world in which the sport is currently operating. The World Endurance Championship sees a major Toyota budget with a smattering of brands across LMP1 and LMP2 cars. The GTE classes are either a manufacturer playground for brands such as Ford, Porsche, Aston Martin and Ferrari or wealthy amateurs fielding cars customer cars. Albeit very competitive cars and driver combinations but little in the way of strong financial backing from external budgets. Even more extreme is the largely plain colours seen on Formula 2 and Formula 3. Driver funds and benefactors appear to be paying the bulk of the bills in all open wheel categories other than F1. Across the pond, the huge USA market still attracts strong financial support particularly in NASCAR with brands such as Monster, Shell, Mobil, M&M’s, FedEx and Miller Brewing very prominent. Taking a look into the Australian market, we are not immune to the battles for commercial support, however our premier Supercars class is still a vibrant product attracting very strong brands. The need to raise funds to race is just as intense for the single car entries as it is for the mega multiple car teams. Although figures of just how much a competitive Supercar costs to run a tightly guarded, $3 million per car per year is a fair assessment when you include drivers fees and all ancillary costs arising during the season. The Race Torque spoke to three distinctively diverse Supercar teams to understand just how the commercial landscape looks in 2019. Fielding four Nissan Altima’s, Kelly Racing is the largest Supercar team in terms of entries in 2019. With all cars running different sponsorship and livery packages, General Manager Nick Ryan has a wide and varied suite of partnerships to manage. Kelly Racing’s General Manager, Nick Ryan. He spoke to The Race Torque about how the market reacts to Supercars and the challenges at hand. “Over recent years it has been a challenging environment. Post GFC there was a distinct change on the commercial landscape. There was period there that you could define as a seller’s market, but for sure that has flipped around distinctly to a buyer’s market. But what that has done is really change how sponsorship is reviewed and the level of scrutiny that now exists within business around not only reviewing proposals but also validating the return that they are providing. It has changed the way we as race teams sell those properties. Rick Kelly has always been well supported, both with personal sponsors and major brands like Castrol, who adorn the KR Altima this year with their iconic brand. 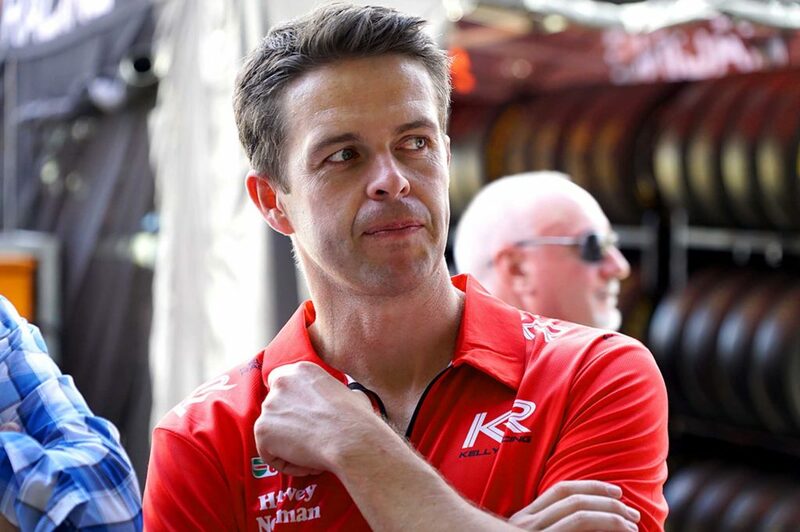 Like all Supercars team Management, Ryan acknowledged the high cost of racing and that this alone provided some barriers to forging new or renewing existing partnerships. “This is tremendously expensive sport. So much of your overall revenue is derived from sponsorship. So you are talking 70 – 75% of your revenue base is from sponsorships. If you compare that to say an AFL team it is more likely to be 40% is derived through membership revenue. As a sport we don’t have that luxury. We don’t control the events, we don’t have the ticketing to the events, and we don’t control all the branding around that, so for us it is a challenging market,” Ryan added. Nick Ryan went on to compare the challenge of obtaining Supercars sponsorship with a corporate pie that that is possibly not big enough to support the levels sports are seeking. He continually comes up against AFL, ARL, Cricket in all its forms, Tennis and more. According to the Kelly Racing boss, the size of corporate marketing budgets in this country are stretched. “The important thing to do when go out and talk and sell these Supercars properties is to differentiate yourself from the ball sports. If you try and run head to head with exposure they have an upside on us but on the flipside the engagement our sport provides absolutely outweighs them 10 to 1.That can be an advantage for so many brands.” Ryan concluded. From a four car team to a single car, family owned outfit, Tim Blanchard has moved from driver to Team Manager in 2019 and although he faces the same challenges as Nick Ryan at Kelly Racing, he is working on very different model. Tim Blanchard – once driver, now team boss but experienced with the commercial side of the sport. “There is a lot of competition now for sponsorship dollars. New sports coming in such as AFL Women’s football and many others are all getting attention. I think however that many companies are changing their view of sponsorship and are now moving from branding to an engagement strategy using digital and social media. That has provided a number of changes for sport in general. It has changed the way we engage with our sponsors and how we provide a return on their investment. The old ways simply do not work anymore.” Blanchard said. Looking specifically at Supercars, Blanchard agreed with the opinion of most team and commercial managers that the category and the truly national annual calendar provides very good value. An undisputed benefit of Supercars is its national footprint. Visiting every state and territory bar the Australian Capital Territory, the calendar provides opportunities to companies few sports can match. Darwin, Townsville, Launceston, Newcastle and regional Victoria all host rounds of the Championship. 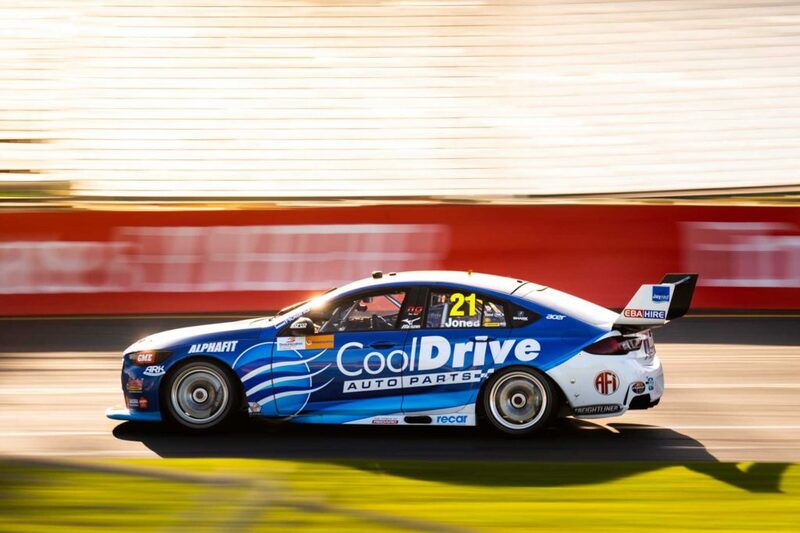 “For a company like Cool Drive (#21 Commodore major sponsor), we are based in Australia and NZ and have stores in places like Launceston, Darwin and Townsville, all places Supercars visit. There is no other sport that can reach our whole business across Australia. While we would like all the venues to be as good as Newcastle or Adelaide it is really important that we support the key regional areas.” Tim explained. The Cool Drive Commodore in action at the Grand Prix. When quizzed on the cost of competing, Blanchard agrees that costs are real issue and there should be ways of bringing them down. As sponsorship is harder to attract and more competitive than ever before, cost containment is a key to longevity for Supercars in his view. One Supercars team that has gone from very lean days to a Drivers and Team Champions in only four years, is DJR Team Penske. The arrival of Roger Penske into the series has lifted the commercial game to a new level. On a very early visit to Perth to witness the MTU branded Ford car of Scott Pye, Penske suggested that the on track performance was a C while in the Corporate Suite above the pits the business written on the weekend was a B+. The importance of integrating the race team with the Penske business empire was quickly evident. The Penske influence is certainly to the fore in the current era, but what should not be underestimated though is the way the Holden Racing Team built a powerhouse business with leading corporate partners in the 1990’s arguably handing the baton to Roland Dane’s Triple 888 Engineering in the late 2000’s. 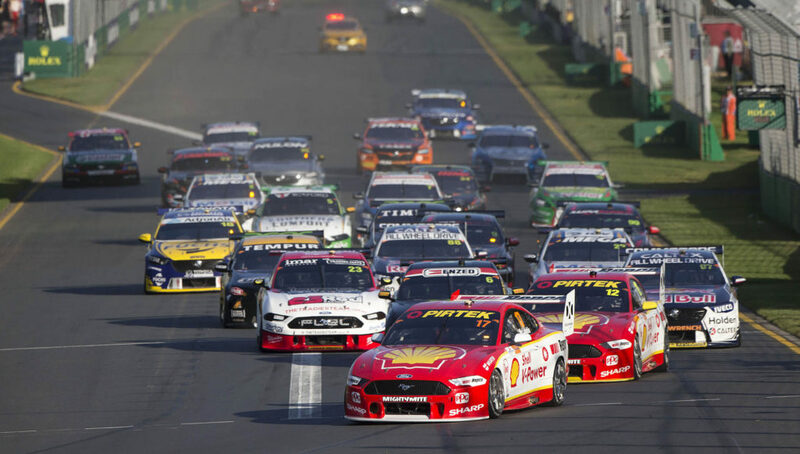 As DJR Team Penske have gone from strength to strength, the roster of sponsors adorning the Queensland based Fords has grown to be one of the most enviable in the pit lane. In charge of this program is Chris Wilson. 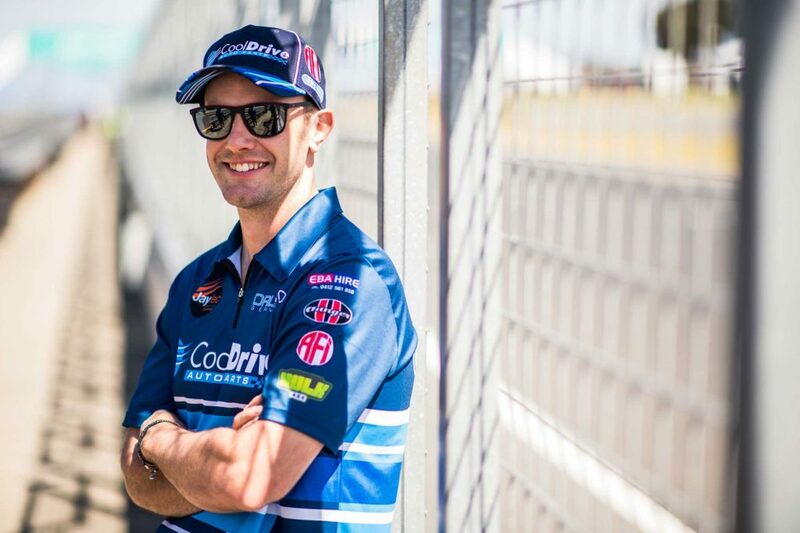 His expertise has spanned successful days at Stone Bros Racing and Walkinshaw Racing before taking the reins at DJR Team Penske in 2015. 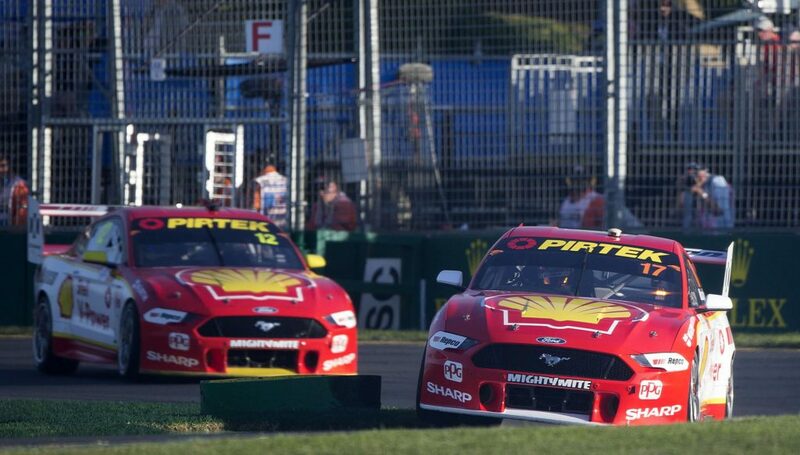 Shell aren’t the only major brand to have jumped on board with DJR Team Penske since the Captain entered the Supercars championship. As far as the Commercial programs go, DJR Team Penske has benefited from Team Penske USA allegiances but also grown and introduced a number of new brands. “From our prospective, on track success is an important factor. However the strategy we employed with the Penske guys when we set the whole thing up in 2015 has not changed to this day. The partners we wanted to align with was well laid out in the planning stages. Our story to current and prospective partners is no different now to 2015. It is strongly based on a business to business platform and it is a good thing that a lot of our partners have enjoyed increased business success as we have built our on track performance.” Wilson said. Like Nick Ryan and Tim Blanchard, Wilson agreed that Supercars is a high cost sport, likening the difference of a football team packing players kits, boots etc. and flying to a venue as opposed to the huge infrastructure the Supercars transporter’s cart around Australia. 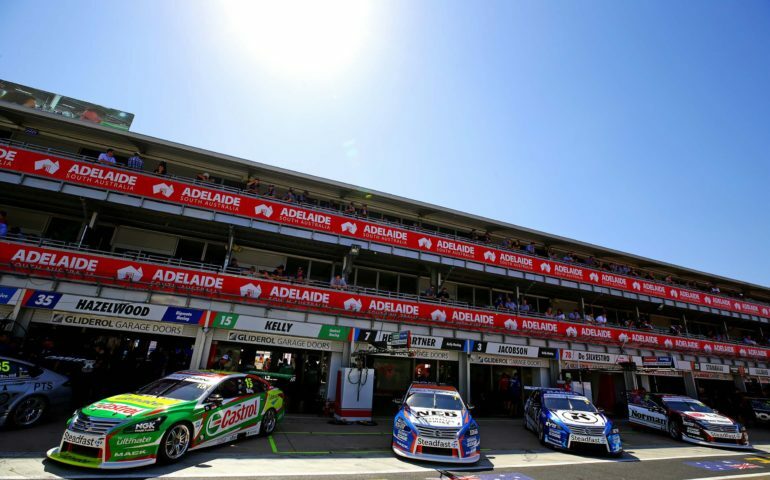 “The engagement offered by Supercars sponsorships is also broadening where there is now strong emphasis on data collection, social media and digital platforms. This makes it a far more sophisticated program than the days of stickers on cars. And this level of involvement does come at a cost, but Supercars does offer a very good sporting experience. “We talk about our fans and we talk about the access to the drivers and teams as key strengths of the sport. Our drivers are great ambassadors for the brands and the team. They understand the access required by our partners and fans and I believe engage in one of the best experiences of any sport.” Wilson said. “We are seeing a real resurgence of automotive brands in Supercars. Be it Ford with the return of the Mustang or other brands. If you look across the category you can see most of the fuel and oil brands are back in which is very positive. You can also see this emergence with tool brands and automotive retailers. The excitement in that automotive space is one of the keys and that is where the direct alignment is. That is a long term focus and makes sense for Supercars success.” Wilson concluded. Three very different teams, with similar understandings and goals for their own success. Supercars is ticking a lot of boxes when the product goes head to head with other sports and entertainment in the commercial and marketing industries in Australia. Further innovation such as the calendar modifications, the mooted move to more weather friendly timing and events such as the night racing in Sydney and Perth will all contribute to fresh sales pitches by the teams. Big or small. The challenge moving forward for the category is keeping costs of racing in check while not diminishing the returns and unique engagement Supercars offers.